Focusing both on PAT testing theory and practical testing of appliances, this two day course gives candidates the knowledge and skill to carry out PAT testing. It’s an ideal course for absolutely anyone ranging from those who want to open their own PAT testing business to professionals who want to carry out testing themselves in the workplace. Upon course completion candidates will be fully certified to perform testing safely and fully in line with the Electricity at Work regulations. Candidates will perform a mock exam, individual practical assessments and an online 50 question exam lasting one hour. Upon completion of the course, all candidates will receive a PASS certificate of attendance. Those who successfully pass the practical assessment and online exam will also receive a City and Guilds In-Service Inspection and Testing of Electrical Equipment (2377-22) certificate). A two-day course, our PAT training starts in Glasgow at 9AM and finishes at 5PM each day. Study time totals approximately 12 hours with an hour for lunch each day. See our Glasgow location page for more information. The 2377-22 course is suitable for absolutely anyone who wants to carry out PAT testing either as a career or as part of workplace maintenance. It is not necessary to have an electrical background to take this course, but an understanding of electricity is an advantage, as is an understanding of Ohm’s Law. Basic maths skills are also required on this course. There are no formal requirements for attending this course. Candidates should bring a current copy of the IET Code of Practice for In-Service Inspection and Testing. 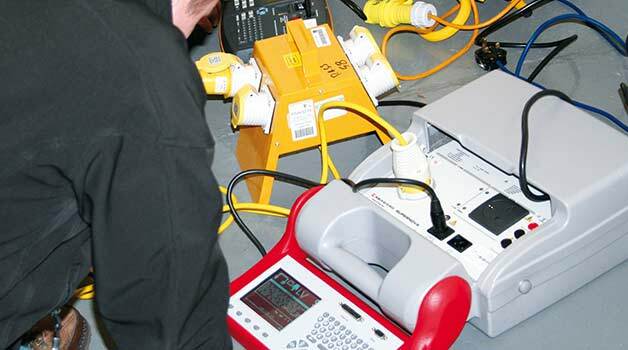 Our Glasgow based PAT testing course gives candidates a comprehensive training schedule and a recognised City and Guilds qualification (2377-22) in In-Service Inspection and Testing of Electrical Equipment (PAT Testing). This course is open to absolutely anyone with an interest in PAT testing. You do NOT need to be a qualified electrician to become a PAT tester and you do not need an electrical background. For more information on the course or to get answers to any of your questions please give us a call directly on 01642 987978 and we’ll be happy to help.